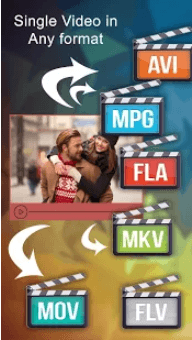 Name: Any Video Converter Apk. 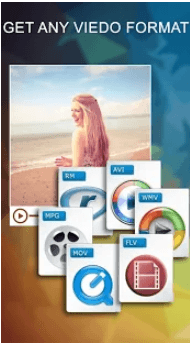 Any Video Converter Apk is a popular Android app for converting videos into different formats. video converts are used for different purposes, for example, some devices support only particular format for playing video in such a situation video converters can help you by converting any video of any format into that specific format which is supported by your Android device, however, that’s not the only use of a video converter they are used to make the quality of video more better or to reduce the sizes of the videos by converting them into low formats. 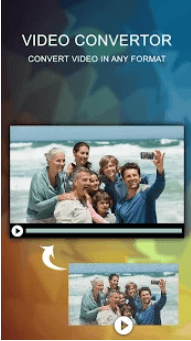 Any Video converter Apk not only supports the conversion of a video from one format to other, but it also allows you to convert any kind of video file into an audio file of different formats. This feature of converting video into audio is also very useful, and it make things more simple for us. Requirements: To download any video converter android apk you must need to have an android version of 2.2 or above with a minimum storage of 1 MB. The app sizes very low ( up to 1.1 MB) So, it can be easily downloaded on any android device. Review: Currently on PlayStore it is having 500,000 Downloads with a rating of 3.6 stars out 5. Support conversion of videos in audio files. Low size app and easy to download. Can be downloaded on any android device having android version of 2.2or above.